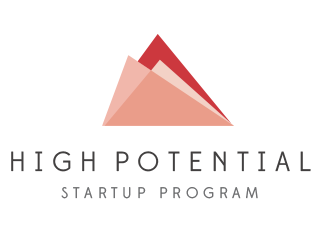 Swansea TechHub co-founder's Hoowla accepted on the High Potential Startup Program. Hoowla is an online platform for everyone involved in the conveyancing process. It replaces solicitors' existing PC based software and allows them to manage the conveyancing process online, from all the document generation to workflow management. The Welsh Government has launched a new business support service specifically aimed at start-ups and early stage businesses with high growth potential. The �2m�High Potential�Startup Project aims to support 50 business ventures, delivering a combined turnover of �36m and creating 480 jobs by December 2014.
Business Minister Edwina Hart said the new pilot project would identify and support entrepreneurs and young businesses with�high�growth�potential. The three-year pilot project is aimed at increasing the number of sustainable�high�growth indigenous businesses in Wales. The�high�level of tailored support and mentoring provided will prepare businesses for survival and success. CEO of Hoowla, Adam Curtis, said being part of the scheme further builds on validating Hoowla's potential. Being on the programme gives us mentoring and support from successful business people which has already been invaluable at this early stage in our growth. With our beta group of solicitors going live on the system this month, the future looks really exciting.